San Antonio is the second largest town on the island as is a holiday destination in its own right. The town is well known for its nightlife and was described as “arguably the clubbing capital of the universe” by Time Out. 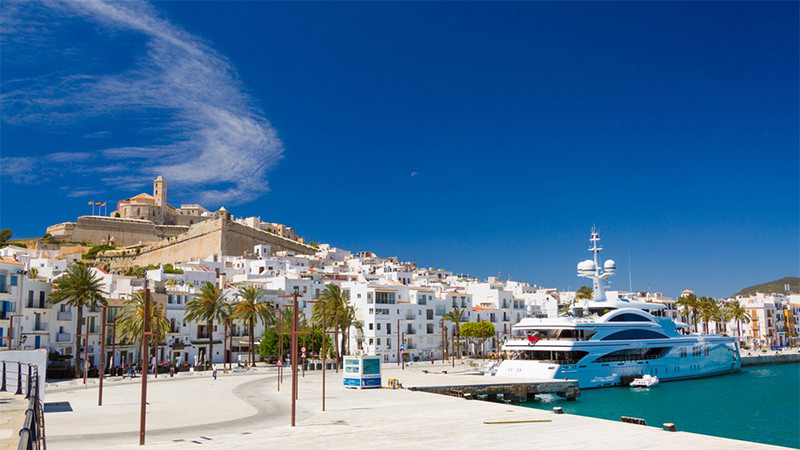 If this doesn’t take your fancy then Ibiza town, the capital, is only 20 minutes away and offers a walled old town, a 14th century cathedral and a few museums. Either way we recommend watching the sunset in San Antonio as it’s breath-taking! Cala Tarida is a small bay on the western side of Ibiza. You’ll find a small town with a choice of good local restaurants here. The best place to moor is at the northern extreme of the bay where you’ll also find a tiny beach worth rowing to on your dinghy. Es Pujols with be your first stop on Formentera and is a beautiful little tourist town. The island is famous for it's crystal clear water and fine sandy beaches. The town is the only major resort on the island but is wonderfully intimate. Behind the main promenade you’ll find a warren of narrow streets offering a choice of restaurants, bars and shops. Migjorn beach is a popular water sports beach with a variety of equipment available to hire. The surrounding area is full off coves offering alternative anchorages if you would prefer not to be close to the main beach. The bottom is rocky so care should be taken when anchoring. Savina is the official port of Formentera. It became a port when the harbour was artificially blocked by connecting the end of the island to and islet called La Savina. The port is full of local fishing and day trip boats coming and going. 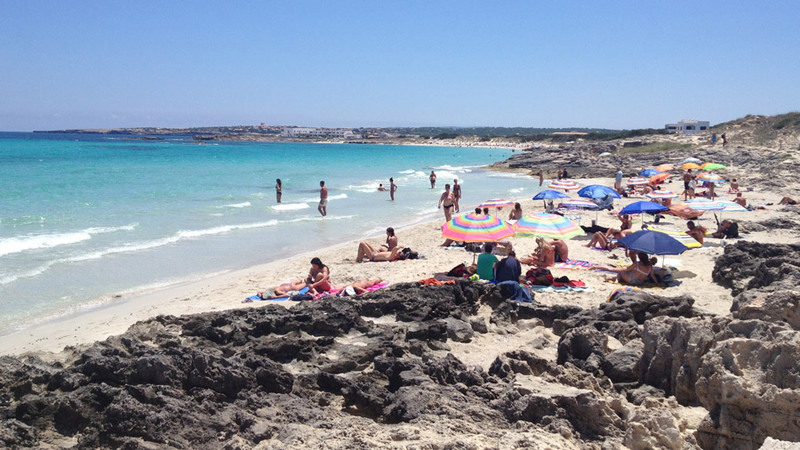 Salinas is one of the most well-known beaches on the island and for good reason! The beach is a long expanse of soft golden sand surrounded by a nature reserve. The pine trees, salt flats and sand dunes make for a beautiful backdrop. If you fancy taking your dinghy ashore you’ll find a variety of bars and a few small shops. Cala Comte is a beautiful little bay just around the corner from San Antonio. The bay itself is very small and only really has enough space for a couple of yachts. After short row to the beach and a climb up the cliff you’ll be rewarded by the only restaurant serving fresh local food and offering some beautiful sunsets.